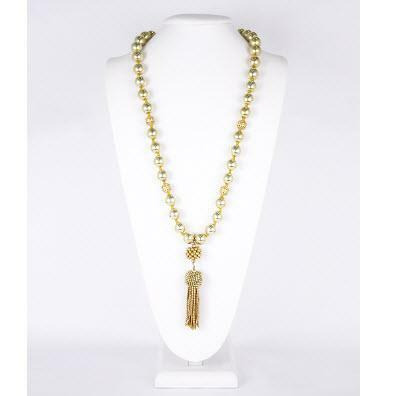 Add this beautiful tassel necklace to your jewelry collection. Tassels and beads are where it's at this season! Don't forget to add the matching tassel earrings to complete the look. Price: $150.00 In stock! - Browse this brand: Lisi Lerch JewelryOur products are custom made to your specifications. This product ships up to 1 weeks after your order is placed. Please select a color for your necklace.